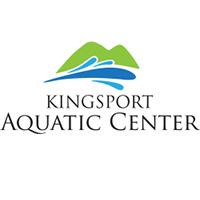 The Water Park at the Kingsport Aquatic Center is open for the summer season and they are kicking off the month of June with Dog Days of Summer! Enjoy half-price hot dogs after 4:00 p.m. every Thursday in June and July! The KAC also offers half-price admission after 4:00 p.m. daily, so you can visit the Water Park for $5 or $4 depending on height, and get a hot dog for $1 at the concession stand. Plain hot dogs are half-price and toppings are available at an additional cost. New this year, the Oasis concession stand will be selling Big Splash Cups. With the purchase of one of these 32 oz. cups for $6.00, customers will receive a 10% discount on any future orders at the concession stand when they show their Big Splash Cup. Along with hot dogs, the Oasis concession stand offers hamburgers, chicken tenders, soft pretzels, french fries, nachos, frozen treats and assorted beverages. No outside food or drinks are permitted. When visiting the Water Park, swimmers can enjoy two waterslides, the Eastman Credit Union 900-foot lazy river, climbing structure and play area with water cannons, lily pad crossing and new this year, guests can also rent one of the private cabanas.